Direction: "Computer Science and Engineering"
* Develop skills of design and construction of electrical devices. * Enable students to achieve competence in the foundation areas of all electrical engineering endeavors. * Provide students with strong background in natural sciences and higher mathematics required in getting fundamental knowledge in electrical engineering. * Develop a wide spectrum of students' abilities and inculcates in them all necessary skills. Respective modules on economics, management and humanities are incorporated into the course as well. * Provide students with the fundamental principles of mechanics and design to suit the needs of a wide range of machine building. This programme covers the areas of mechanics, system analysis and material science. * Provide student with flexibility in having a strong background in mechanics and gaining a focus in one of the following areas: technology of mechanical engineering, robotics and machines for metal cutting, hydraulic machines and compressors, and equipment for oil and gas extraction. 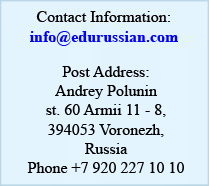 * Teach the main principles of the design and operation of a technological processes and machines and to enable students to apply the knowledge and skills acquired in future work. * Prepare graduates to acquire high-responsibility positions and fulfill productive roles in society. * Provide students with the capabilities which will enable them to advance their professional standing through further work experience. * Production standardization and certification. * Enable students to achieve competence in the following major areas: software engineering, database and information systems, communications and Networks, Internet and Web design, modeling and problem solving, computer applications. This programme covers the general areas of communication, processing and display of information via computers. 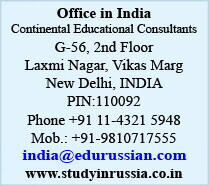 * Provide students with comprehensive understanding of current methods and practices relating to the computer application, relevant organizational, managerial and other business issues which enable them to understand the role of computers in business. * Develop intellectua,l personal, and business skills, self-confidence, and self-motivation. * Develop the ability to work effectively as an individual and as a member of a team. * Facilitate the integration of academic knowledge and practical work experience. * Provide students with the skills which will enable them to advance their professional standing through further work experience. * Prepare graduates to acquirehigh- responsibility positions and carry out productive roles in society. Graduates work as programmers, experts in systems analysis, designers in data administration and other areas. * Train specialists, who would be able to work in the emerging market economy. These specialists should fluently speak foreign languages, become knowledgeable in computer sciences and be competent in business issues. * Provide students with the ability to apply business skills and knowledge. * Develop the confidence required to progress in the student's chosen management career. Graduates are competitive in the world intellectual market, work in domestic and foreign enterprises, in large Russian oil and gas companies, banks, financial institutions, and even create private firms. Copyright © 2009 edurussian.com All Rights Reserved.